I am back in London today and would you believe it's going well? A successful day for once. 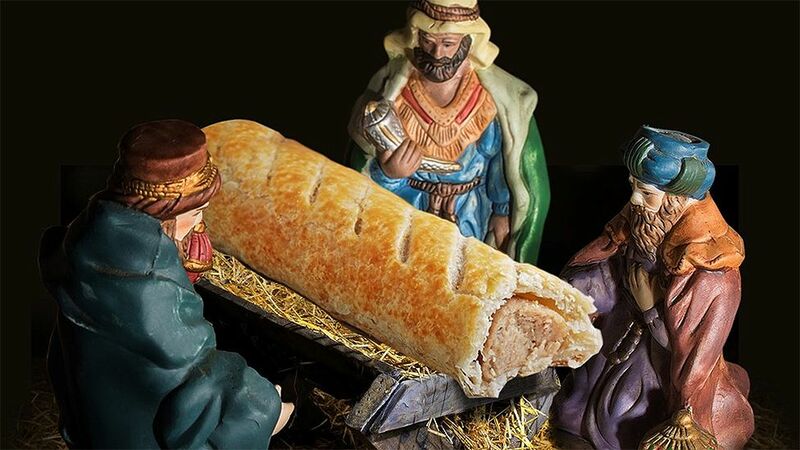 It's also a successful day for the publicity machine at Greggs who say they are sorry for portraying Jesus as a sausage roll while lapping up the huge publicity it gets them. Meanwhile Daughter is being interviewed by the police, at College of Policing in Coventry. We’ve booked her an overnight stay so that she can be fresh for the interrogation and the tests she will face. We’ll have to cash in the favour for some more dog sitting. And L is job hunting in Orkney and jealous of the girl with nine jobs. It does sounds like she could use some help but personally I think they’re taking advantage of her because she’s the youngest.